Our team is excited to let you know that we now have got our first craft beer on board!!! We have chosen ANIMA from Piemonte, Italy after a long search for the right fit. They feature a sensational selection of 6 types of beer in a very unique packaging. The 500ml and 750ml bottles are shaped like Prosecco bottles and closed with a mushroom cork. This is the first Italian craft beer that comes with a cork. The 330ml bottles also are closed with cork and make them the first beer world wide in 330ml bottles with such. 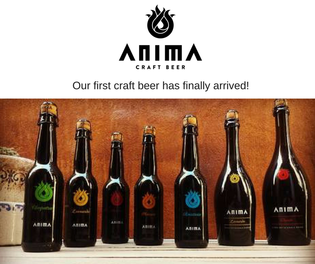 ​They are a young brewery, in the province of Cuneo, located in the North of Italy. They entered the market in January 2015, but began with their creation in 2011. Denomination of Origin (DO) Rías Baixas is renowned for the Albariño grape, an indigenous variety that produces some of the world’s foremost white wines. Located in the Galicia region of northwestern Spain, the DO was formally established in 1988. Albariño has always been the flagship of this coastal region. In Rías Baixas’ unique climate, Albariño shares the same mineral-rich soils and cool climate as the world’s other renowned white wine-producing regions, including France’s Loire Valley, New Zealand, and the Rhine region of Germany. The history of DO Rías Baixas dates back to 1980, when an official denomination was created specifically for the Albariño grape variety. When Spain entered the European Union (EU) in 1986, however, the denomination was changed to Rías Baixas as EU wine laws did not recognize a DO named for a single grape variety. Since 1988, the DO has complied with all Spanish and EU wine regulations. DO Rías Baixas is regulated by the Consejo Regulador (local governing body) which ensures adherence to permitted grape varieties, viticultural practices, winemaking and aging procedures. This is a family cellar which has focused on quality from its very beginnings, with much hard work and intense dedication. 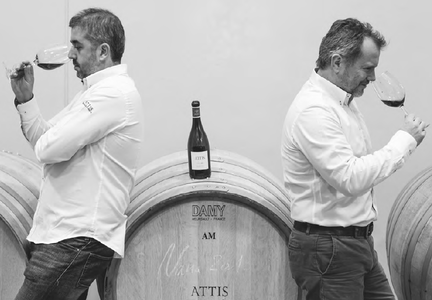 Currently, 500.000 bottles are produced yearly and this limited production allows for strict controls of the whole winemaking process from its very beginning. The cellar owns 135 Hectares of vineyards: 90% Tinta del País grape variety (Tempranillo) and 10% Cabernet Sauvignon grape variety. Today, “CEPA GAVILÁN”, “FINCA LA NAVILLA”, “VIÑA PEDROSA” and “PEREZ PASCUAS”-GRAN SELECCIÓN- are exported to over than 38 countries, accounting for 43% of production. BODEGAS HNOS. 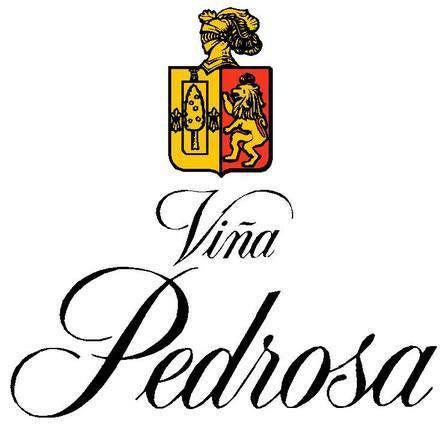 PEREZ PASCUAS is an example of a well-consolidated, serious cellar that has always distinguished itself by maintaining an irreproachable regularity in its wines year after year. Global Fine Wines is a premium wine and craft beer importer and distributor. Welcome to our website which is open to the public allowing you to browse information regarding the exciting wines and beer we distribute throughout Australia. Our efficient and reliable service ensures wine orders are in most cases delivered on the same day or within a day or two. We represent wines and beer from small producers in Australia, New Zealand, Italy, France and Spain. All offer individuality, rarity, and above all fine quality and character. We do hope your browsing experience proves interesting, useful and enjoyable. "Our A. Bergere Champagnes SCORE with Wine Spectator 91 Points!​"
The October 2015 Edition of Wine Spectator has scored both of our A.Bergere Champagnes 91 points. A great score and higher than some Champagne benchmarks such as Pol Roger. Then of course this is a small family grower champagne that provides Grand Cru grapes for the likes of Moet et Chandon, Veuve Cliquot and Roederer - so no surprise perhaps. Add the dimension of small grower champagne and you can expect delightful 'point of difference' flavours that you just can't score. But you will enjoy - big time. Check out the A. Bergere champagnes here. Well worth the browse - even better - try them. Note: They're imported in refrigerated containers to keep them in perfect condition. You can't say that for many of the mass produced products out there.